Remember our boot discussion? 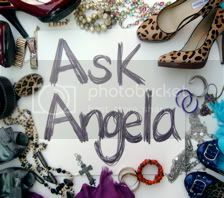 I gave you some extra tips, including, "Don't be afraid to get something with a little embellishment or funk. They'll spice up your wardrobe and be a lot more versatile than you think. Anyone can be safe with their shoes! Let's live a little on the edge and spice things up a bit!" Just to be clear, this is NOT what I was talking about. Are we clear? We're clear. Good. Both legs of the adorable 5 year old could fit in the calf opening!